This quote speaks to me because I get incredibly nervous on tournament days. I guess I’ve still got years to go in this game! The thing is, I discovered a long time ago the difference between my own personal Good Nervous and Bad Nervous. When I was in high school, my Ultimate coach Tiina brought in Dr. Alan Goldberg, a sports psychologist. He was the first person to articulate for me the differences between the two gameday nervousnesses. Good Nervous is when you care. 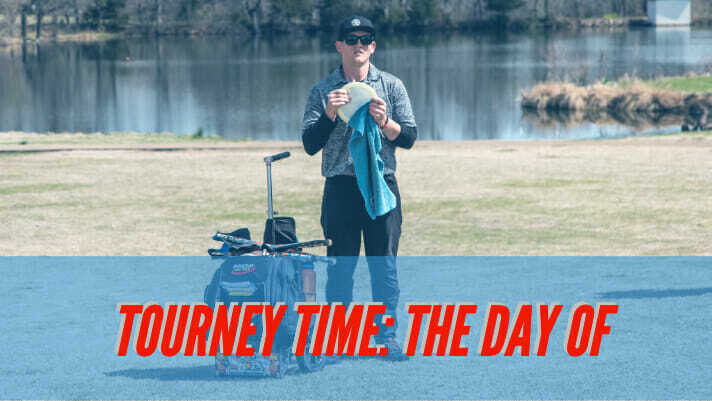 It’s when you feel jittery about the possibilities of the day ahead, when you pace around tournament central double-quick and can’t stop practice putting because, gosh darn it, you just love disc golf and you want to play well. Bad Nervous is when you’re tight. Bad Nervous is when you’re worried that you’re not good enough. It’s when your mind wanders into all the things that could go wrong on the course. Bad Nervous is always right there, waiting especially for players who don’t prepare properly, but you have prepared! So today’s tip is to have a plan for your gameday downtime to better stay on top of that tremulous tightrope of Good Nervous. There is, of course, a third kind of nervousness: Not Nervous. If you are someone who plays Not Nervous, can I recommend you check out the latest episode of The Upshot podcast? This article is unabashedly for the Try Hards. If you read my piece on mental preparation in the week before a tournament, you know I believe in reducing the amount of mental bluster you carry onto the course. This makes your morning routine essential. Here is my advice. First, show up an hour and fifteen minutes before the players’ meeting. Second, proceed through the routine that works best for you. I’ll give you mine as a reference. Borrow what you want but personalize it as you see fit. Mentally walk through the 18 tee shots and make sure each necessary disc is in the bag. I already know they are, but this doubles as a visualization exercise. Apply sunscreen, finish coffee, top off water bottles. Put away phone and ensure that lucky rock is in pocket. Take 20 Circle 1 putts focusing on your putting form checklist. What’s a putting form checklist? Check back for that soon. Offer the widest, straightest fairways. Are not too far from tourney central. Are not going to be super crowded. Throw your actual tee shot. Throw putters and midranges on straight lines. Find your flat release. Get loose. Disregard how good or bad these shots are; they don’t count. Throw lots of approach shots from 200-50 feet. Try some Circle 2 putts. Hit some more close ones. Go back to the car and have a little more water. By now the TD is calling all players to go over OB, prizes, and the rest. Clap when other people clap. It’s game time, baby. Focus focus focus. If you did your practice preparation right, you’re good to go. The jitters you feel are good; it means you care. Embrace it. Watch your discs all the way to landing. Try not to pay attention to the score. Concentrate on the shot at hand. No highs too high, no lows too low. Enjoy disc golf! Eat your small lunch and don’t get any grease on your throwing hand. Drink water but not so much that you get all tummysloshy. Reapply sunscreen as needed. When talking with other players, do not utter the phrase, “I could have…” or “I should have…” or anything at all about luck. Talk instead about that drive that you absolutely pured, that sweet straddle putt you nailed. Positive > Negative. Make absolutely sure that you get back out there with time to throw a few more putter/mid drives and approaches, and an additional 10 minutes to hit some more putts. Check the board to see your hole assignment, ignore the scores, and make your way to your starting hole. Same as the first round. Go make your shots. Enjoy the hubbub! Regardless of the outcome, understand that there will be more tournaments to come and that the best thing you can do, as hard as it may be, is to focus on the good shots over the bad. If you made an execution error, diagnose it and let it go. If you made a mental error, diagnose it and let it go. If you made just a really smooth, absolutely mint shot at any point in the day, pat yourself on the back and replay it in your mind over and over again. Nice shot! Understand that literally every single player could have played better but regrets are cheap. Be supportive of people who played better than you. Be enthusiastic for the AMs. Give away all but one of your beers; you’re driving home soon. Always stay for the awards. 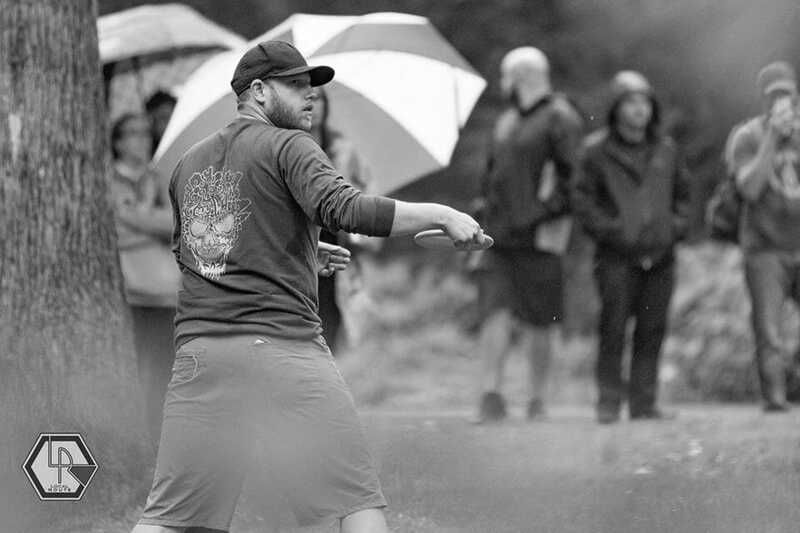 The disc golf community is a beautiful thing, and like most good things, requires an active effort from the people involved. Clap for everyone, listen to the speeches, and chant, “Move up!” at the winners of each division. Hopefully, you played with cool people. Hopefully, you shot above your rating. Hopefully, you won your money back! Hopefully, your Good Nervousness helped you keep your focus throughout the day. Hopefully, you had fun! Above all else, hopefully you can be honest with yourself about how your preparation contributed to your performance. Tournaments are nice checkpoints, but they are still just individual stepping stones on the road to getting better. Spend that night replaying your highlights and, when tomorrow comes, get back out there and practice! Comments on "Tuesday Tips: Tourney Time – The Day Of"